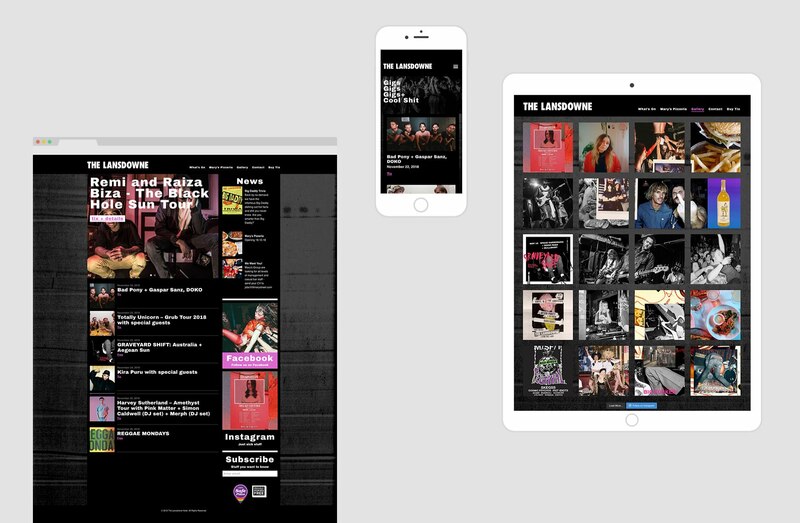 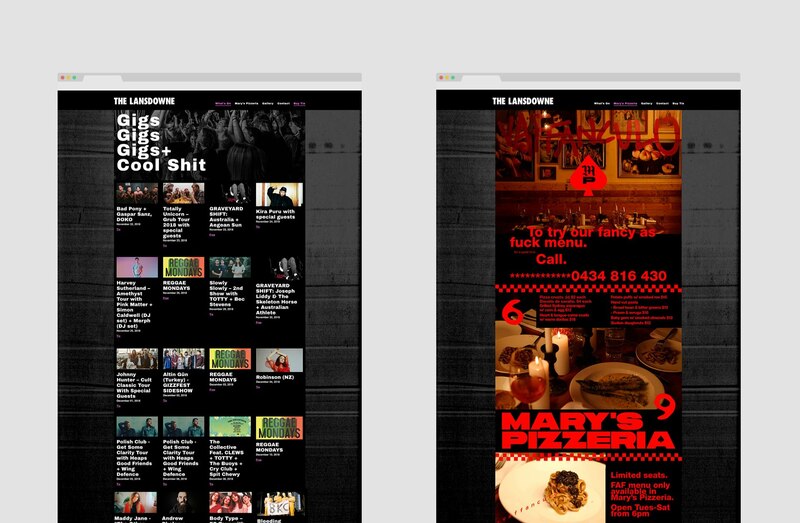 Sixheads was approached by the Mary’s Group to develop the new website for the iconic Lansdowne Hotel in Sydney. 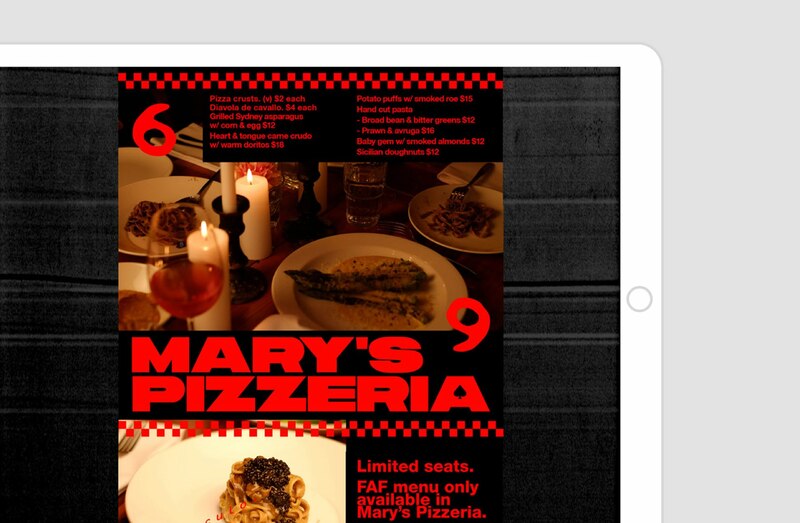 We developed a custom WordPress site to work with the bold, in-your-face design from Mary’s Art Director, Leyla Muratovic. 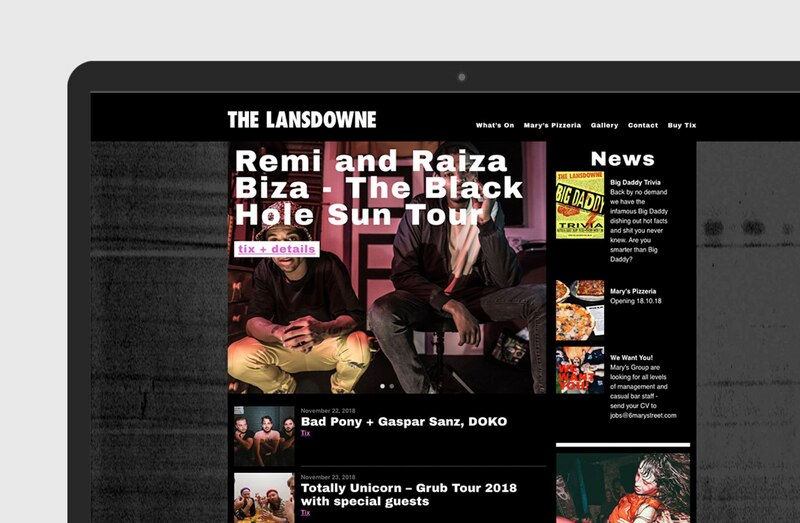 A ticketing system was integrated using the InTix platform making it easy for booking agents to create new events and have them automatically pulled into the website.